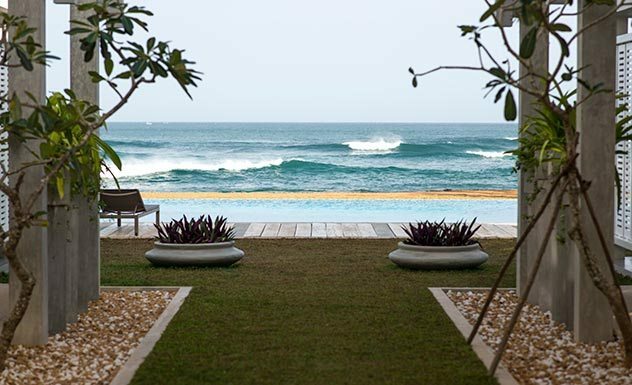 Created by sisters Sharlyn Stafford and Ravini Perera, Sri Sharavi Beach Villas and Spa is made up of four beautiful seaside villas in Mirissa, arranged in a private row to allow magnificent Indian Ocean views for a serene beach holiday. These stylish villas are more geared for small families and small groups but it’s also a great option for spa lovers and stressed out parents who are looking for a space to relax. Each two-story villa blends luxury and well-being seamlessly, and comes with a personal butler. 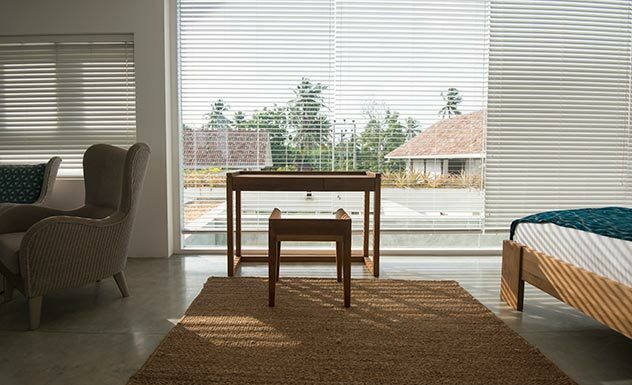 What really makes Sri Sharavi special is its clever use of space, minimalist and clean aesthetics and spectacular ocean front views of Mirissa beach. 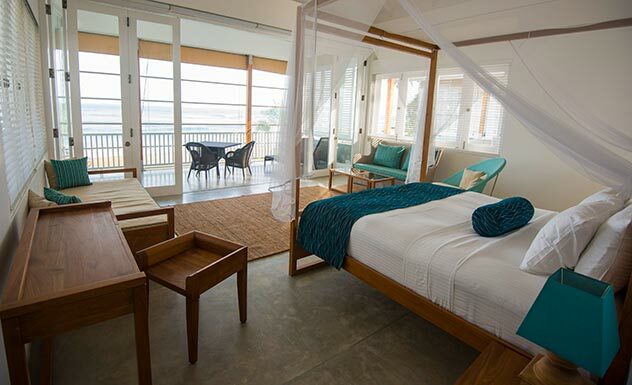 At 70sqm, the Ocean Signature Suite is not only expansive, but also offers gorgeous views of the seascape beyond. It has an ensuite bathroom and a personal terrace. With around 60sqm to spare, the Superior Deluxe Suite is your home away from home. 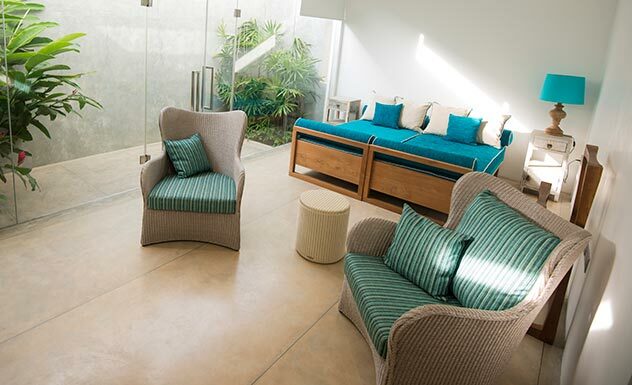 Enjoy views from your own terrace, the living space or bedroom. It also features a glass wall on one side that overlooks the garden. 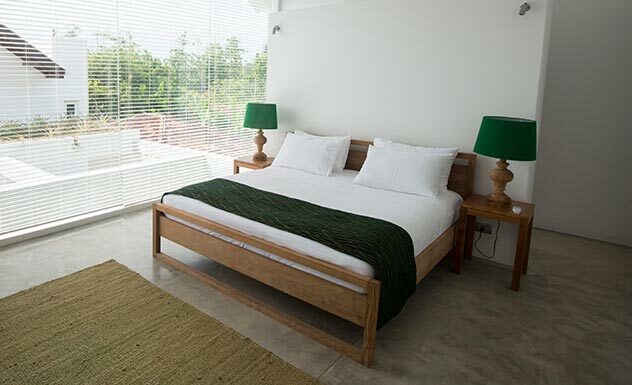 Located on the ground floor, though the Palm Double is smaller than the Superior Deluxe, it’s larger than the Standard Double room so it’s somewhere in the middle. It can be fitted either with two twin beds or one king-sized bed. 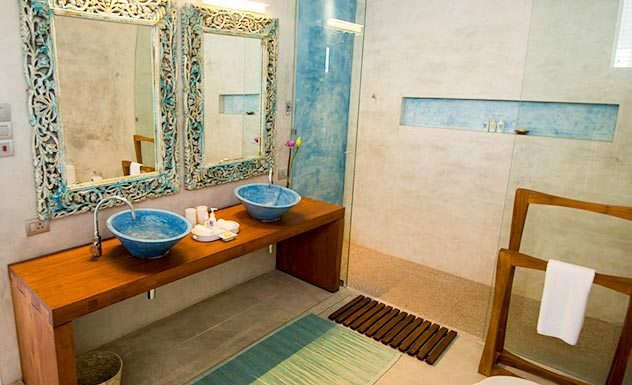 It also has an enclosed personal terrace and a spacious ensuite bathroom. 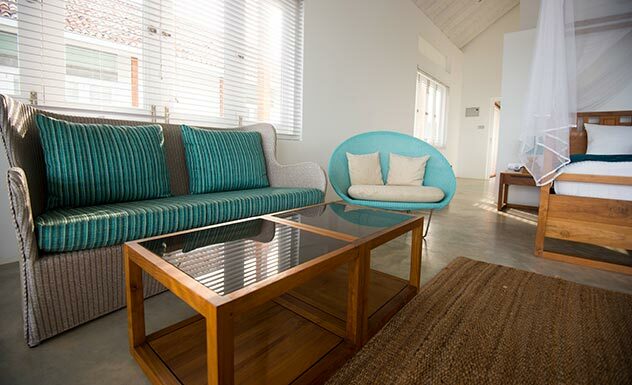 The two-story villas each feature three suites equipped with ensuite facilities. They also come with 180 degree panoramic views. Comfortably positioned in the spa building, these two chic Standard Rooms include a balcony that looks onto the courtyard. 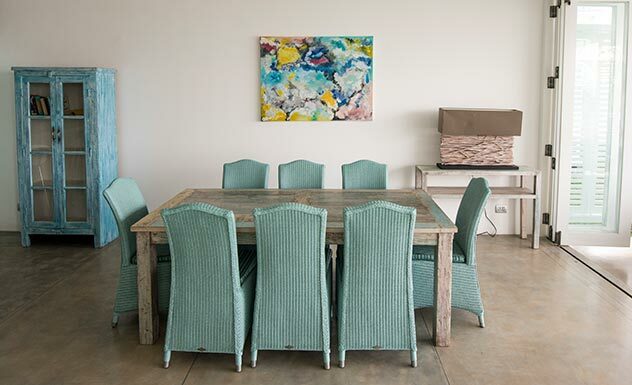 Great for private dining and also suited for couples or solo travelers. Breakfast is included in the nightly rate with a choice of Western or Sri Lankan breakfast on offer. Other meals can be ordered on request; from traditionally vibrant Sri Lankan curries, fresh platters of succulent seafood to delicious Western cuisine, the choice is yours. 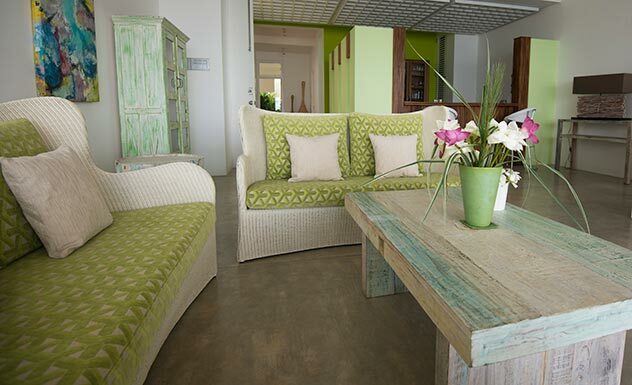 Each villa comes equipped with a pantry which can be stocked on request. The villa does not currently serve alcohol but liquor can be brought in by guests. A wine cellar is soon to be introduced to the property. 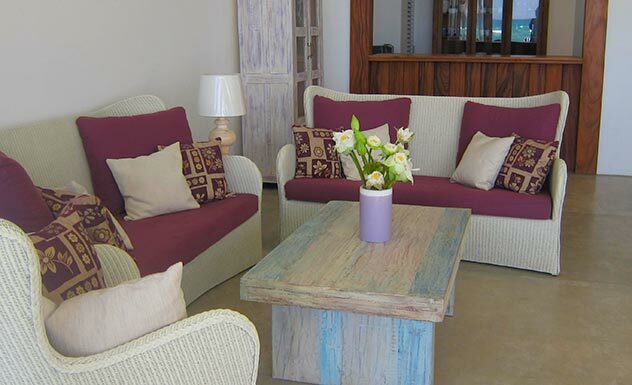 Sri Sharavi Beach Villas and Spa welcomes children of all ages and is a good option for families with older kids.